Maria Betancur  is a history and French undergraduate student in Washington College’s Class of 2020. She became involved with the National Home Front Project during the 2017 summer internship program, contributing to interviewing, audio editing, and transcribing. Maria expanded the project’s collection during the following summer by reaching out to congregants of Temple Sinai in Washington, D.C., as well as members of the American World War II Orphans Network. She continued to work as a community outreach intern for the National Home Front Project by helping to establish partnerships across the U.S., so new organizations could join our efforts of keeping the memories of World War II alive. Currently, Maria is interning as an archival processor, where she works to get interviews ready for publishing on the website. Mairin is a senior at Washington College who calls Annapolis, Maryland home. 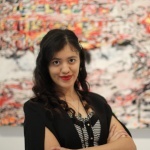 She is a history major and Asian studies minor, and she has a passion for American and Chinese history, 1860s-1930s. She currently serves on the National Home Front Project Review Team and delights in cleaning up documents and audio files for public consumption. Mairin believes that all history, especially history as recent and relevant as World War II, should be accessible and humanized, and so she is more than grateful to be able to work with such a great team on such a meaningful project. 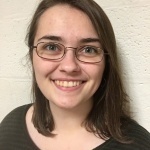 Following her graduation from Washington College, Mairin hopes to build a career in public history or in educational programming at historic sites, monuments, and museums. Jillian Curran is a history major from Kennett Square, Pennsylvania. 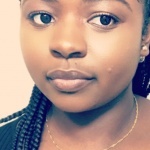 She is currently working as an archival processing intern on the National Home Front Project, where she edits and processes interviews with those who lived on the home front during World War II. Jillian is also a volunteer for the Chesapeake Heartland Project, in which she and other students sift through court documents to research African-American experiences in Kent County during the Civil War era. Jillian hopes to pursue a career in history, possibly as a museum curator. She looks forward to continuing her work with the Starr Center during her time at Washington College. 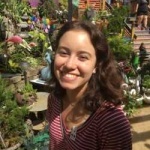 Caroline Draper is a history major at Washington College, and a native to the Eastern Shore of Maryland. 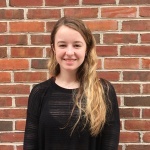 Since the summer of 2018, Caroline has been working at WC’s Starr Center for the Study of the American Experience as an interviewer and archivist for the National Home Front Project’s local collection efforts. She has participated in more than ten oral histories, sitting down with interviewees from Chestertown, Centreville, and other neighboring communities to discuss their experiences on the World War II home front. Included in these were interviews with Virginia Babbitt, Eddie Cook, and Priscilla Hall, which are now featured on the NHFP website. 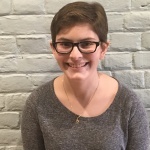 Anna Garow is a Class of 2021 history and economics double major from Connecticut. 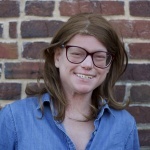 She joined the National Home Front Project in fall 2018. She is an archival processor in charge of preparing interviews to be featured on the website. Anna believes oral history is important to preserve the human side of history. Her favorite project since joining is when she interviewed her grandfather about his experiences growing up during World War II. Gaviota is a junior at Washington College. Originally from Puerto Rico, Gaviota migrated to the US to study political science. She is a community outreach intern and interviewer for the National Home Front Project. Since she is fully bilingual, she serves as a translator of Spanish language interviews for the project. Additionally, Gaviota manages the NHFP social media pages, designs promotional materials, and offers assistance on office work. Upon graduation, Hernández Quiñones intends to enroll in an interdisciplinary PhD program in political science. 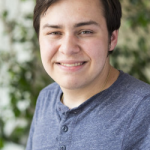 I’m Michael Hershey and I am a sophomore at Washington College studying history and economics. I joined the National Home Front Project in 2018, where I worked on archiving oral histories, editing audio, and indexing the interviews to be ready for publishing. I have since moved on to work on the local interviewing team, where we seek out people to interview in the greater Philadelphia, Baltimore, and D.C. areas, as well as around Chestertown and the Eastern Shore of Maryland. I’ve listened to NHFP stories from on everything from stakeouts during the Pacific campaign and the Korean War to the black market of sugar and butter in upstate New York. I love having the opportunity to listen to these accounts first-hand and sharing stories that might have been lost to time or memory forever. 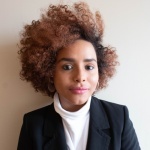 I am Fatimata Kane, a Washington College Class of 2019 sociology major. I am part of the National Home Front Project local interviewing team. We conduct oral histories with people who have lived through World War II and share their experiences through our project website. I also help by processing the interviews for our archive. I joined the NHFP in summer 2019. I really like being a part of this program because it has given me a chance to break out of my shyness and be able to speak with a diverse population of people. I also have gotten a chance to improve my communication, collaboration, team work, and technical skills. I enjoy working collaboratively and independently to fulfill the mission of the project. The work we do is important because we give people a platform to tell us their stories and share their experiences with us, which we can then share with a larger audience. We provide people with an opportunity to reflect on their lives and give the current generation advice. By sharing these World War II stories with the public, we are giving students a chance to learn about their history and learn about things they may not have known before. I’m Mari Mullane. 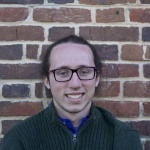 I’m from Leitersburg, Maryland, and I’m a history major with a minor in German Language and Culture. As a copyediting intern, I’ve been reviewing archival documents before interviews are published on the website to make sure they’re all standardized and grammar mistake-free! I decided to join the team last year because I’m enthusiastic about public history and the presentation of the history of the American home front. After graduation, I’m hoping to pursue a career in living history interpretation or museum studies. My name is Trish Rana and I am part of the Washington College class of 2021! I’m a communications and media studies major, with a concentration in Business. I began my internship with the Starr Center’s National Home Front Project during the summer of 2018. In the time I’ve spent with the NHFP, I have helped conduct and process video interviews with my fellow teammates to share student voices from the project. The oral histories with our narrators never cease to amaze us; every interview is always interesting and heartfelt. A favorite of mine is taking the portraits of our narrators, as I practice photography myself and I believe that a good portrait shows us more about our wonderful narrators and their amazing adventures. Currently, I’m doing community outreach, where I help Filipino-American communities record their stories. 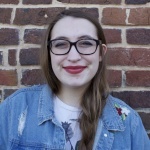 Saoirse is a junior at Washington College double majoring in English and sociology, with a triple minor in creative writing, gender studies, and journalism, editing & publishing. She is from India and has been seeking to explore American culture ever since she arrived on these shores. The National Home Front Project has been an amazing opportunity for her to do so! 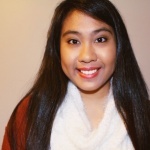 She has honed her interviewing skills while learning a variety of new ones like audio editing, transcribing, and indexing, while gaining a deep and personal understanding of the lived American experience. Katy Shenk is a sophomore history major from Elizabethtown, Pennsylvania. 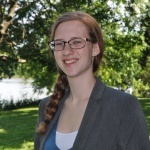 During her freshman year, Katy worked as a veteran’s project interviewer and archival processing intern for the StoryQuest Oral History Program. In the summer of 2018, Katy processed interviews from the National Home Front Project’s community partners, such as the Newark Public Library in New York and the Florida Gulf Coast University. She is excited to continue making home front interviews accessible to the public and introducing others to the importance of oral history. 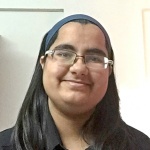 Katy hopes to attend graduate school and pursue a career in archives or library science. I am from Monmouth County, New Jersey. I first started working with the National Home Front Project in the spring of 2019. I cherish this opportunity to interview World War II survivors or people living in that era of history. Hearing these people’s stories to very informative and put me back in the era of the war period. These stories need to hear. Each story is different, but still human. These stories teach us about human advisory, strength and struggle. I encourage everyone to listen to these stories to understand what happened during the war. It’s is so much better than reading a textbook! A fun fact about me is that I love hearing stories about Rosie the Riveter. I will never pass up a moment to “nerd out” because I have an intrinsic interest and admiration towards the study of history. Ever since I was a kindergartner and discovered what history was, I have caught the history bug. I claim the title of “weird history nerd.” I plan to study history and am still deciding on a few minors to focus on. I’m Jon Vitale from Middletown, New Jersey. I am currently a sophomore at Washington College, where I major in history and political science. I’ve been passionate about history for as long as I can remember and find my work with the National Home Front Project to be very fulfilling. I’ve been working on the project since fall of 2017. During the 2018 summer program, I worked as a team leader. I conduct interviews, do web work and archiving, as well as audio editing. I think the project is a great initiative and I’m really happy that the Starr Center is doing it.